"For 16 Years In A Row"
We create a unique process for each patient to ensure that aesthetic objectives are successfully achieved and that you are happy with your results. Voted Top NYC Plastic Surgeon for the past 16 years. Dr. Newman is your first choice for your breast procedure in NYC. You are in good hands. Dr. Newman is dedicated to his patients' comfort, privacy and satisfaction with the final results. With many flexible payment solutions, Dr. Newman is committed to helping find the solution that works for you. When choosing a plastic surgeon, you need to be reassured you are putting yourself in the care of a true professional. 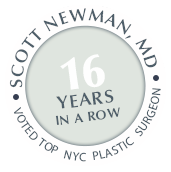 Dr Newman has been voted Top NYC Plastic Surgeon – Breast Augmentation for the past 16 years. Offering the highest quality surgical skills and facilities, in New York City, Westchester and Long Island. 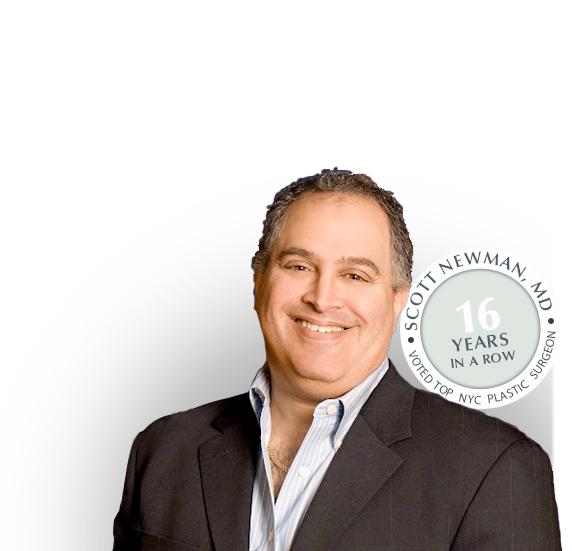 In private practice since 1993, Dr Newman has more experience than any other surgeon in his field. Having studied at the New York Medical College and having served as Chief Resident at New York City, Mount Sinai Medical Center, and currently the Chief of the Department of Plastic Surgery at St. John’s Riverside Hospital Westchester, Scott would be delighted to talk with you, to see how he may be able to help.